If you have been busy with seasonal work for the last several months, you may be looking forward to a break in January. With holiday sales and services finished, treat yourself to a Mexican getaway in Baja. This is a great time to visit as tourism slows as well. Make sure that your Mexican auto insurance for Federal Highways by Mexican Insurance Store.com is updated. Verify that your liability limits are appropriate based on whether your Mexico insurance is for travel strictly in Baja Norte or for heading to Baja del Sur. Mexican Auto Insurance for Federal Highways is now required. January is part of the early whale-watching season, which began in mid-December. You can find charters in Ensenada, where you can take a few hours to circle Isla de Los Santos in hopes of sighting gray whales on their route to southern Baja. You can also head to southern Baja, enjoying numerous opportunities for watching from shore or for catching charter expeditions to see whales up close. Mexican Highway 1 covers most of your driving, and you will want to be sure that you have Mexican Auto Insurance for Federal Highways so that you are covered for emergency assistance in case of problems such as flat tires or running out of gas. Fishing charters are also available throughout Baja, and you will need to research options in advance to be sure of what businesses are operating. You may simply want to spend time enjoying the beach scenery along the way, bringing your camera equipment to ensure that you capture great shots of sunset scenes. Be sure to take time to stop for the best shots. Trying to get photos from your car can result in distracted driving and accidents that will test the limits of your Mexico insurance. Baja is also a great place for taking a break at a luxury resort, and you don’t have to go far to enjoy. Rosarito is only 20 minutes from the border, offering an affordable alternative to a ritzy U.S. resort. 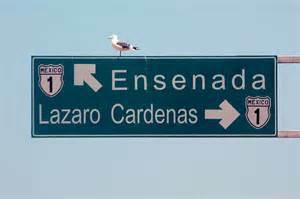 Ensenada is just an hour south of the border, also a great location for resort vacation time. Your Mexican Auto Insurance for Federal Highways by Mexican Insurance Store.com is just as important if you won’t be driving much. Accidents can happen to a parked vehicle, and your full-coverage policy is important for addressing losses in such a situation. Mexican Auto Insurance for Federal Highways by Mexican Insurance Store.com comes with legal, repair in the US or Canada and Roadside Assistance on all policies. I have already booked my Mexican auto insurance for Canadians online. I am just waiting for my holiday break beginning 5th May to have a great rest in Ensenada.